Bangalore is a great place to stay in the longer run. The city is not just the IT hub of India but it is indeed the 4th largest IT sector of India. Due to immense population influx every year to Bangalore, this has a great potential for the realty sector. 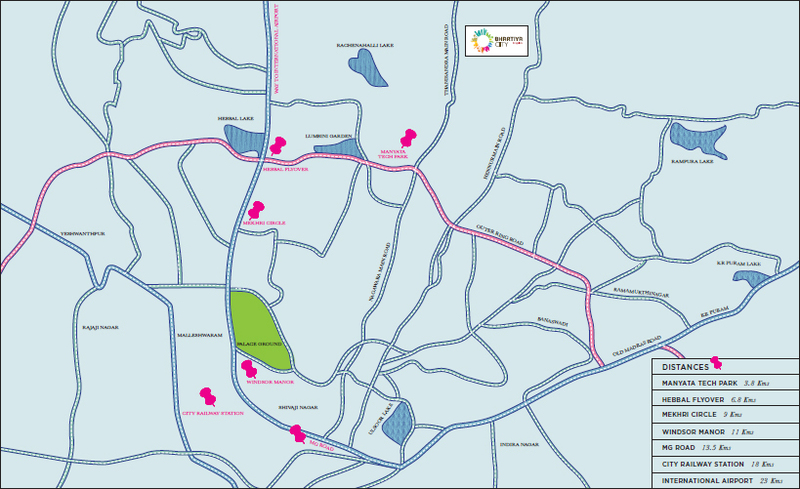 Bangalore is also a great metropolitan city and has many projects running in it. Bhartiya City Nikoo Homes 2 is a great residential project that is coming up in a posh locality of Bangalore by Bhartiya. This is a great property that is coming up in North Bangalore. Well experienced architects and designers have gotten together to make this wonderful project. Spread across 125 acres of land area this project has all the modern amenities that a prospective buyer would look for in a property. There are 9 huge towers with 33 floors and 2014 beautiful apartments in Nikoo Homes Phase 2. On the offer is 1 BHK studio apartments to 4 BHK beautiful apartments with penthouses. The penthouses are covering 510 sq. ft. to 2204 sq. ft. of area. The homes are made well with all luxuries and boast features like Italian kitchen, bay windows, great beautiful viewing private decks, and other ultra-amenities. The vibrant neighbourhood has apartments with great privacy features. Bhartiya City Nikoo Homes 2 Bangalore has a great infrastructure, style and ambience. There are plenty of amenities here like health and fitness zones, lifestyle clubhouse, rooftop swimming pool, swimming pool with a separate pool for small kids, multipurpose hall for get-to-gathers, tennis, badminton, squash courts, well-made gardens for morning and evening walk, tree house, organic café’, amphitheatre and a gymnasium. The project has a great sky garden on 33rd floor to enjoy the skywalk and see the beautiful well-lit Bangalore around. This property is coming up at Thanisandra main road in North Bangalore. This is where one can lead to a great quality life away from the hustle and bustle of the big city. The Project is well-linked to Manyata Technology Park and is very close to Outer Ring Road and other commercial utilities. 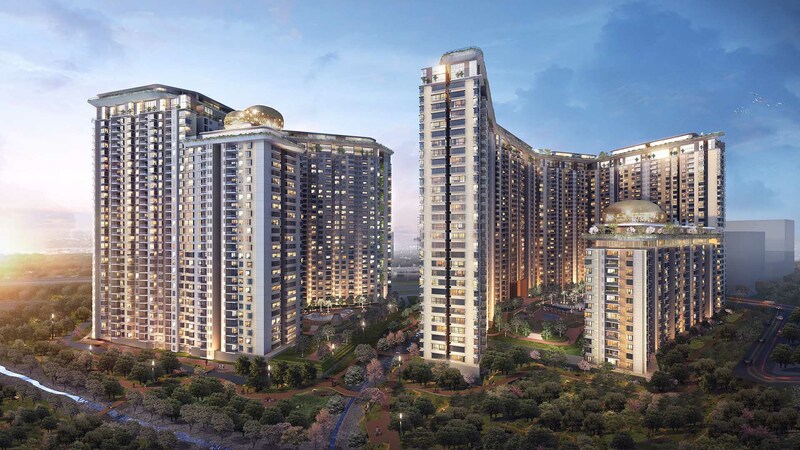 Bhartiya City Nikoo Homes 2 price is quite competitive and ranges from Rs 45 lakhs to Rs 1.50 crores stunning residential development located in the posh Thanisandra Road of Bangalore. The world-class infrastructure is designed by the renowned Bhartiya City Developers spanning across huge 125 acres of land. This residential development consists of 9 magnificent towers with 33 floors and 2014 luxury apartments. There are 1 BHK, 2 BHK and 4 BHK apartments on offer with different variations and sizes. The apartments boast of special features like Italian kitchen, bay windows, rooftop swimming pool, lifestyle clubhouse, multipurpose hall, health and fitness zones and many more facilities. Bhartiya City Nikoo Homes 2 Thanisandra Road is the place where you will experience the taste of the best things in life and discover the finest things that the city has to offer due to its great location. 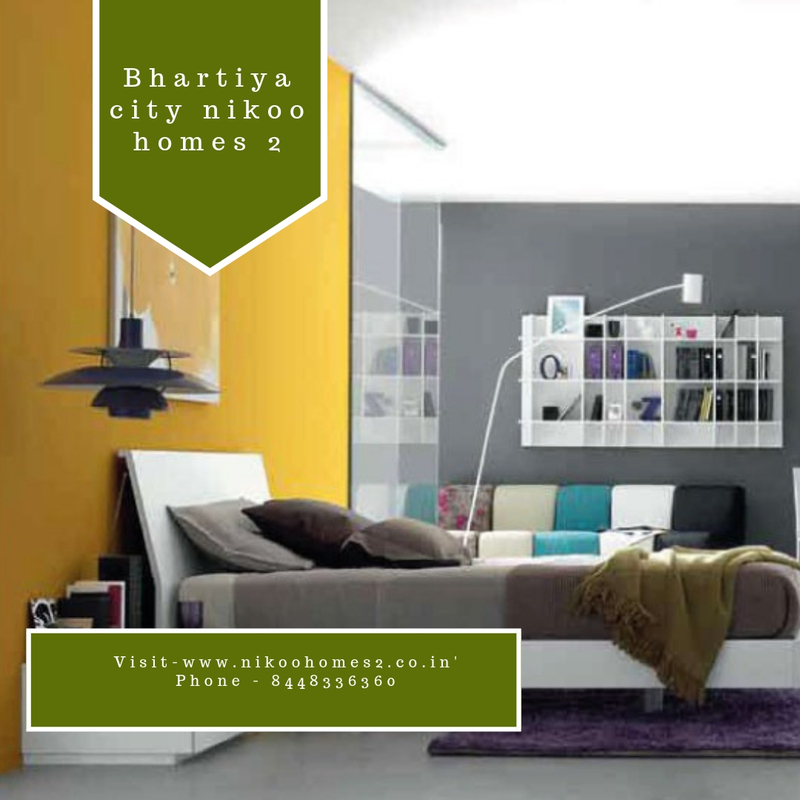 Live life like never before at Bhartiya City Nikoo Homes 2. Founded in the year 1987, Bhartiya Group started with designing leather apparel and accessories for the fashion conscious and gradually established itself as a major international fashion brand. Chasing the founder’s dream of “creating a perfect world abounding in happiness”, in the year 2012, the Group ventured into the Indian real estate with the ambitious launch of Bhartiya City Nikoo Homes at Bengaluru. The launch was received well and achieved spectacular success by becoming the fastest-selling residential product in Bengaluru, selling over 1900 homes in just over 11 months! Although the Group’s main aim remains serving the future citizens of Bhartiya City, the recognition from their peers has strengthened their belief in their dream. LOBBY - Upper floor lobby flooring in vitrified tiles and lift cladding in natural stone/vitrified tiles. APARTMENT FLOORING - Vitrified Tile flooring in the Foyer, Living, Dining, corridors and all Bedrooms. KITCHEN / STAFF QUARTER/ UTILITY - Vitrified Tile flooring & Stainless Steel Sink with drain board. Bengaluru is an opportune City to invest!